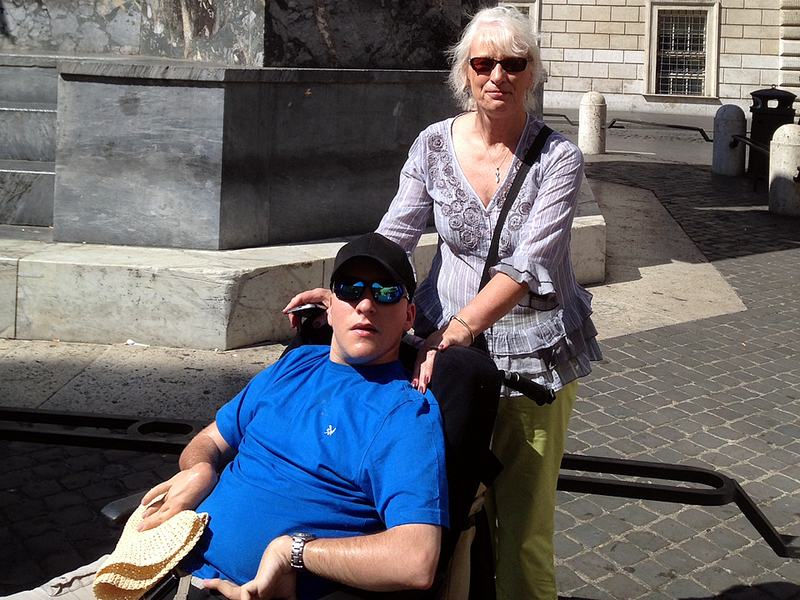 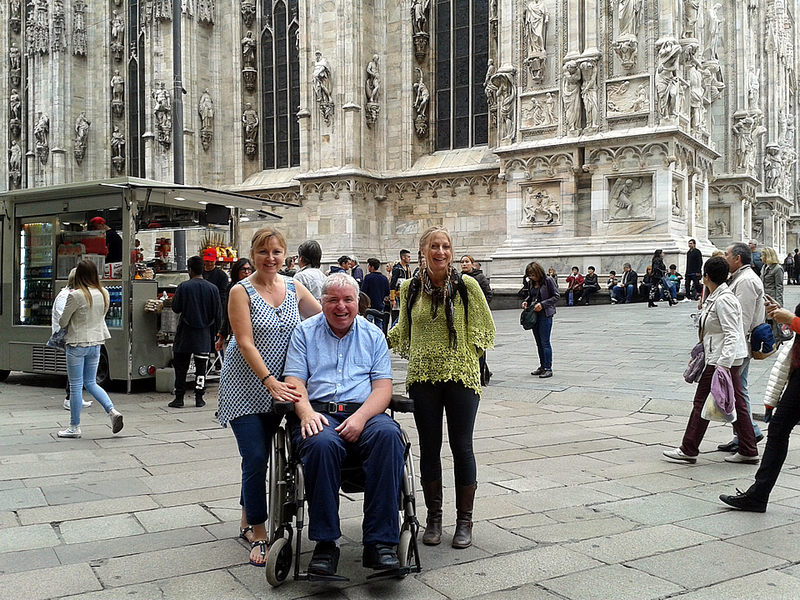 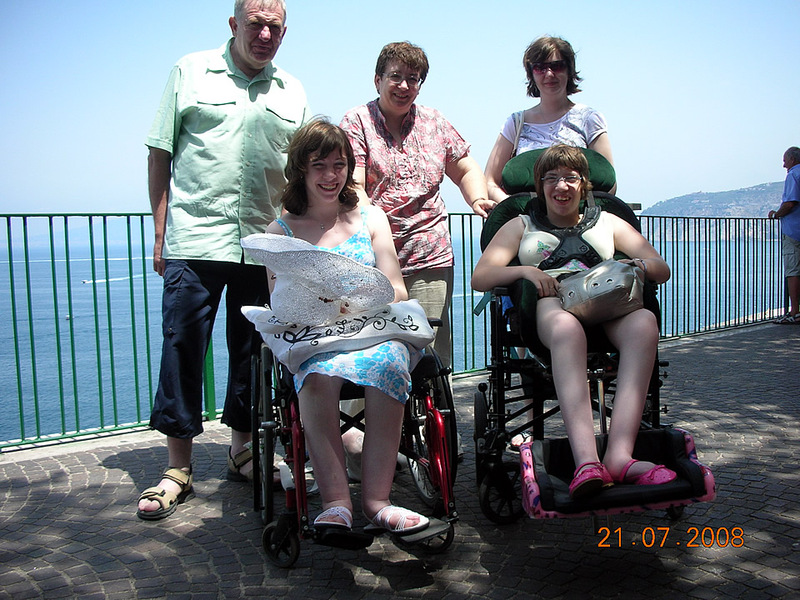 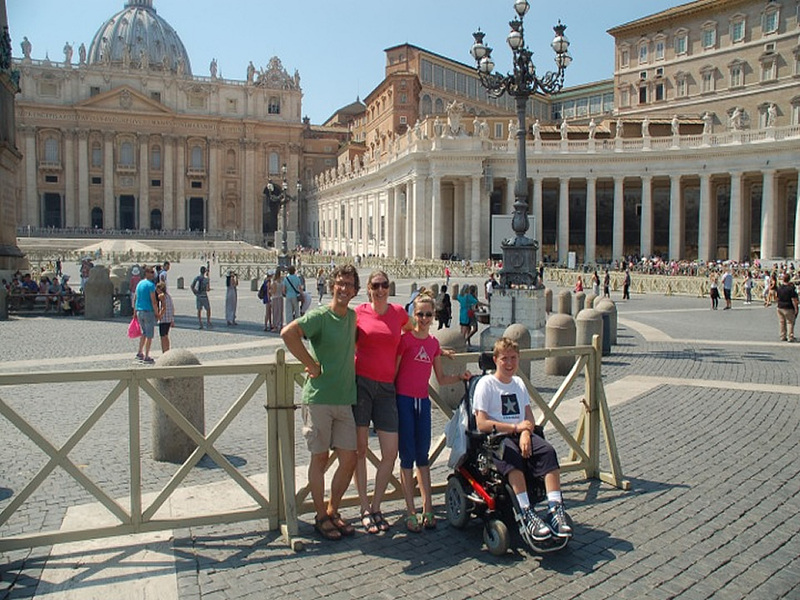 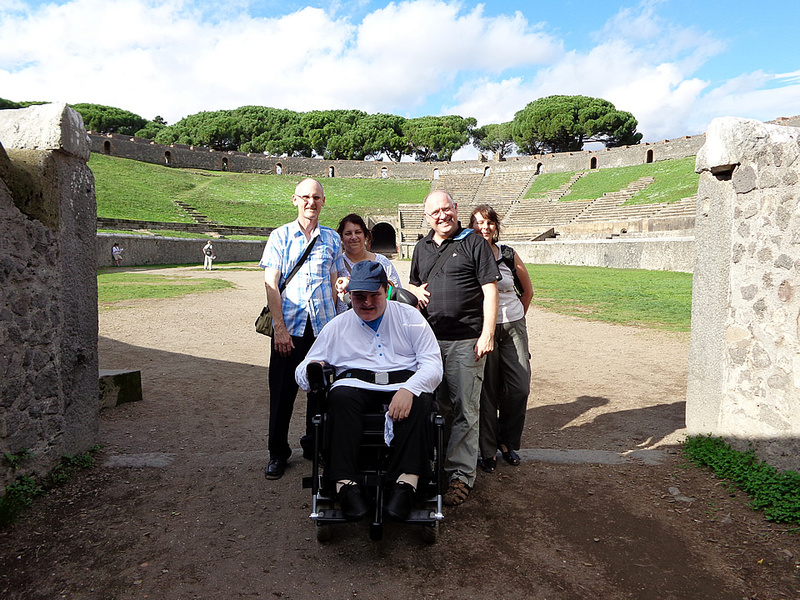 Wheelchair users accessible Appian Way tours in Rome. 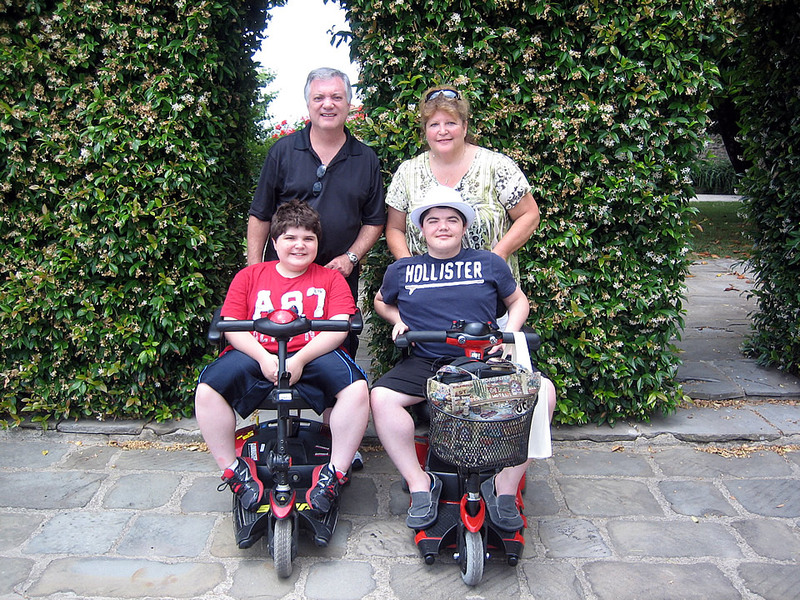 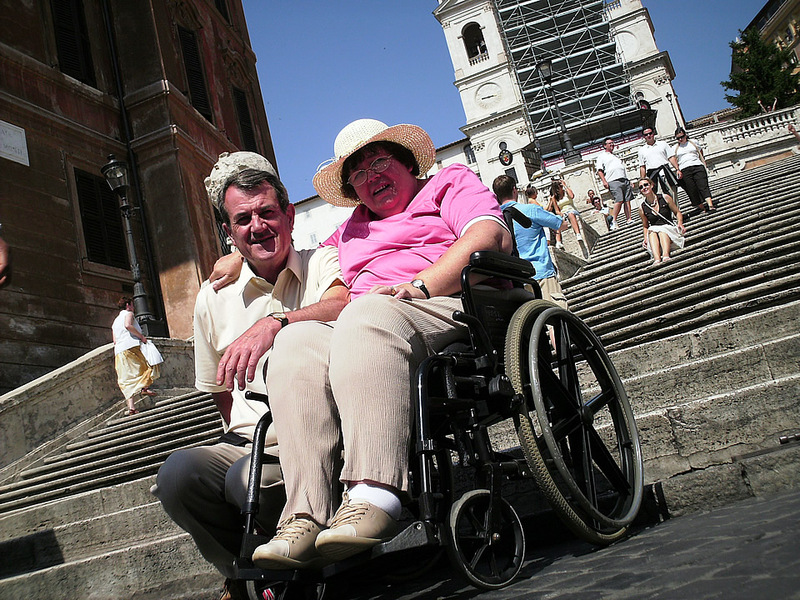 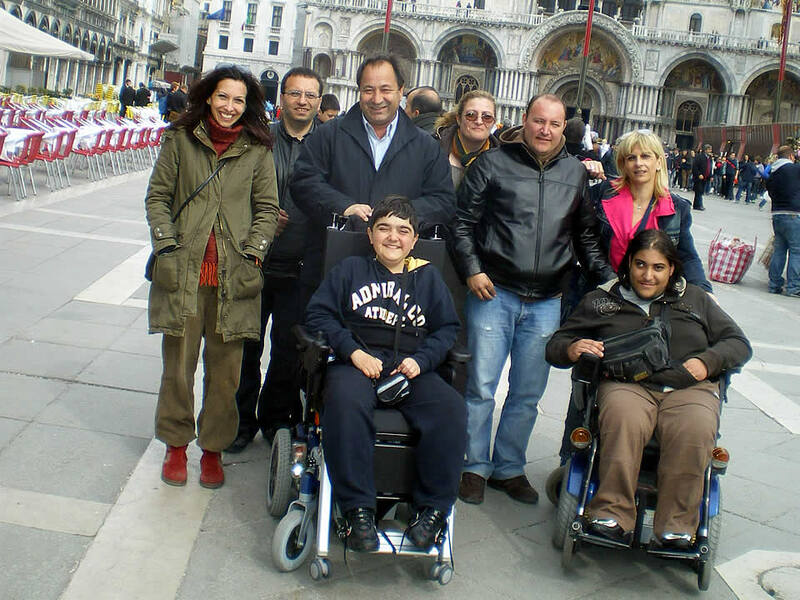 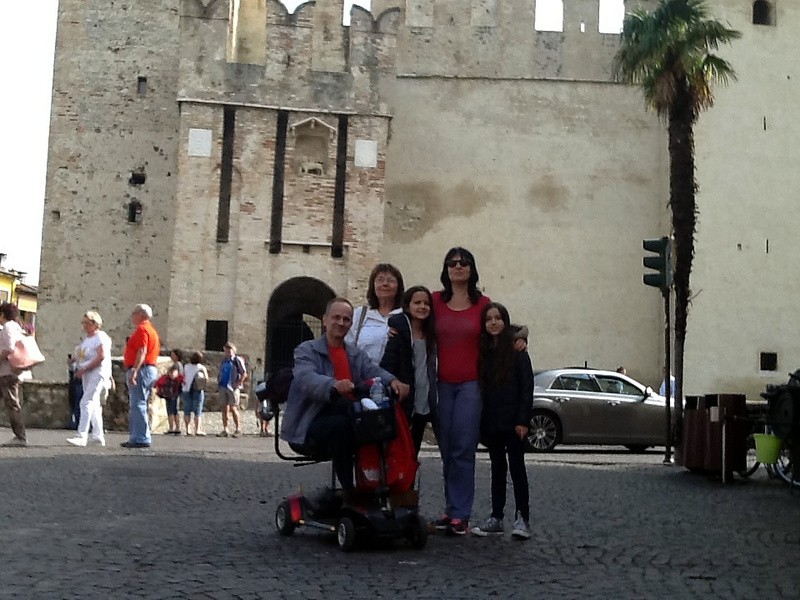 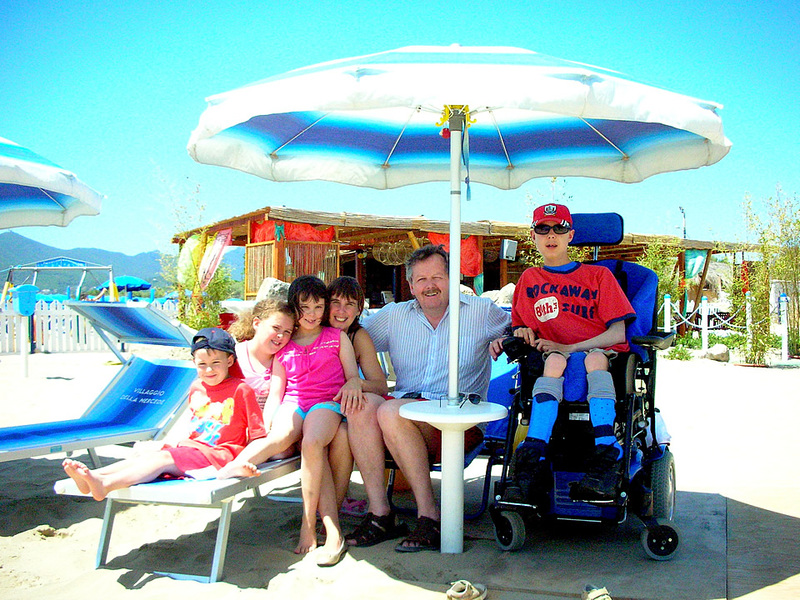 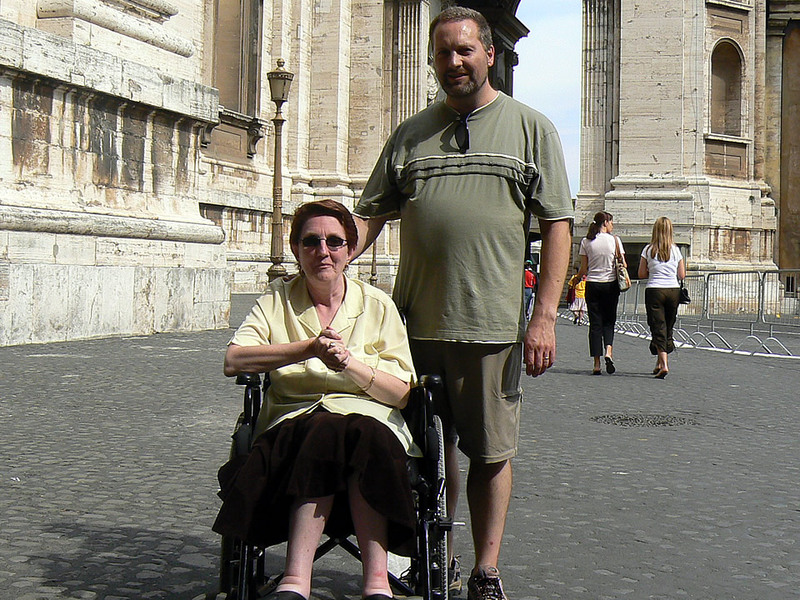 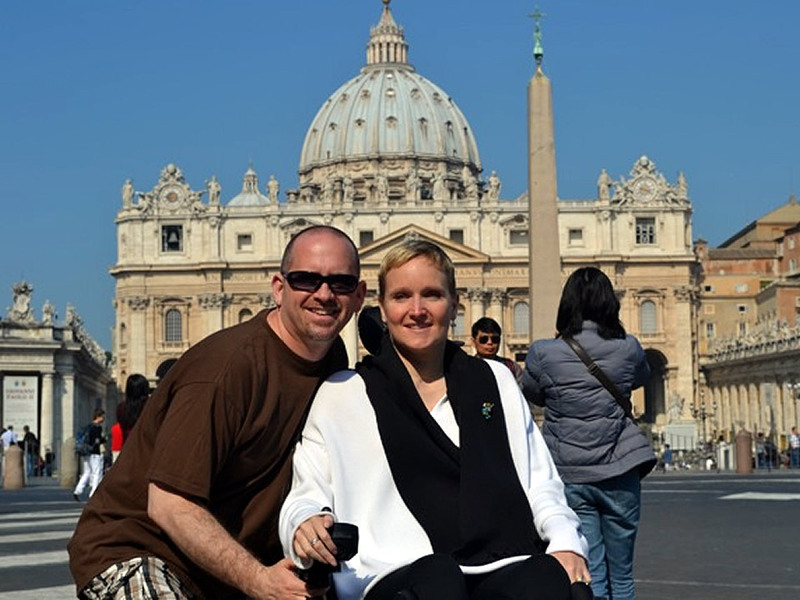 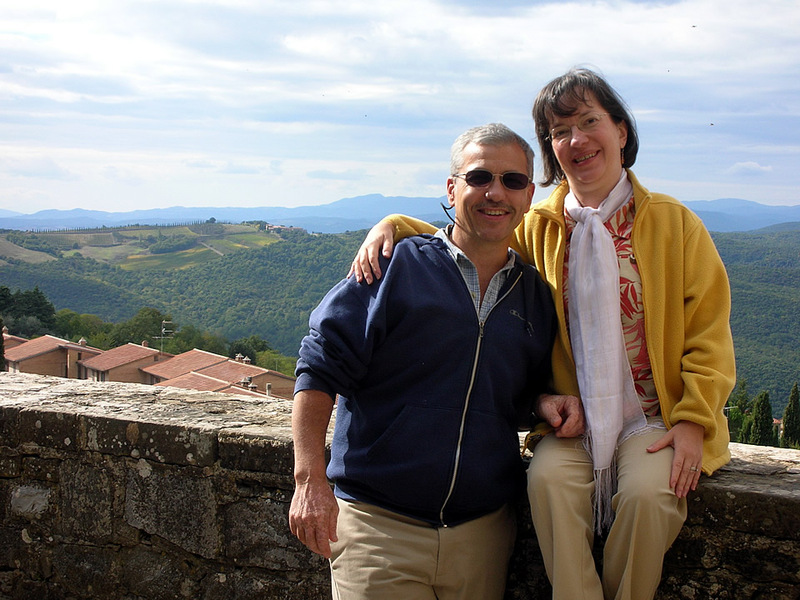 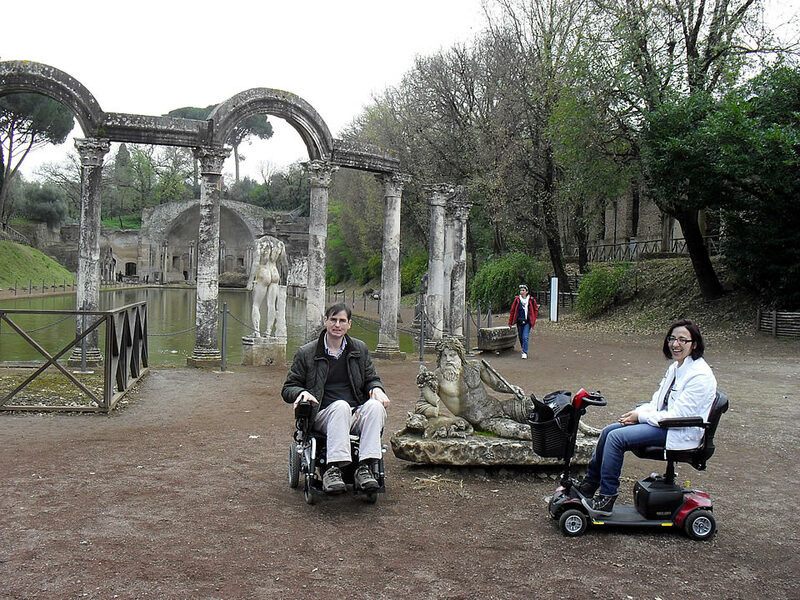 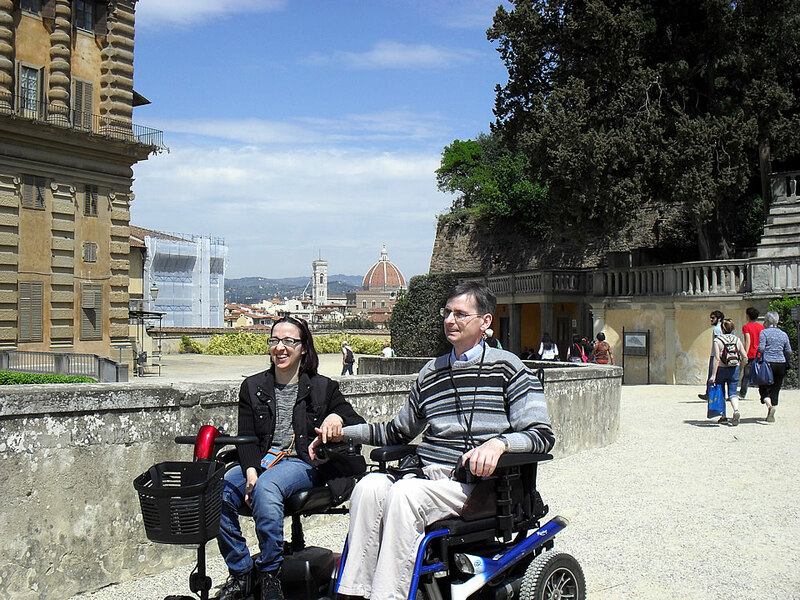 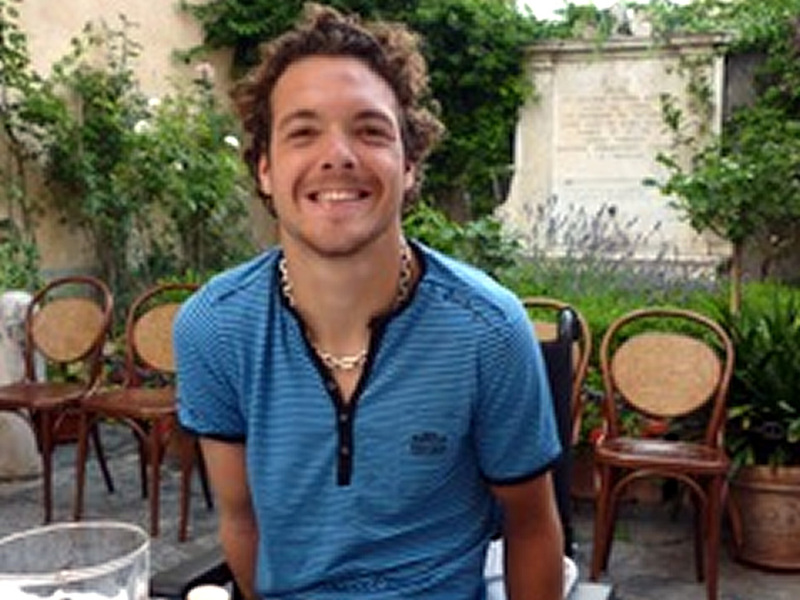 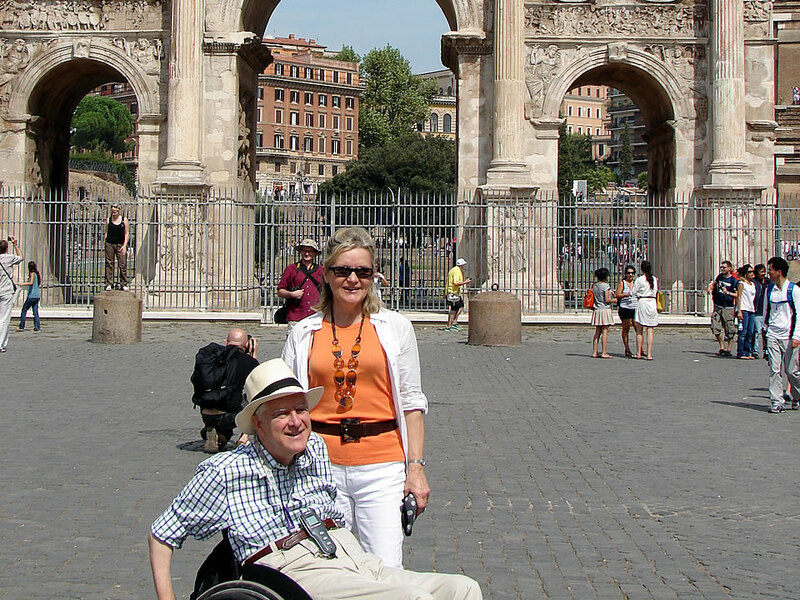 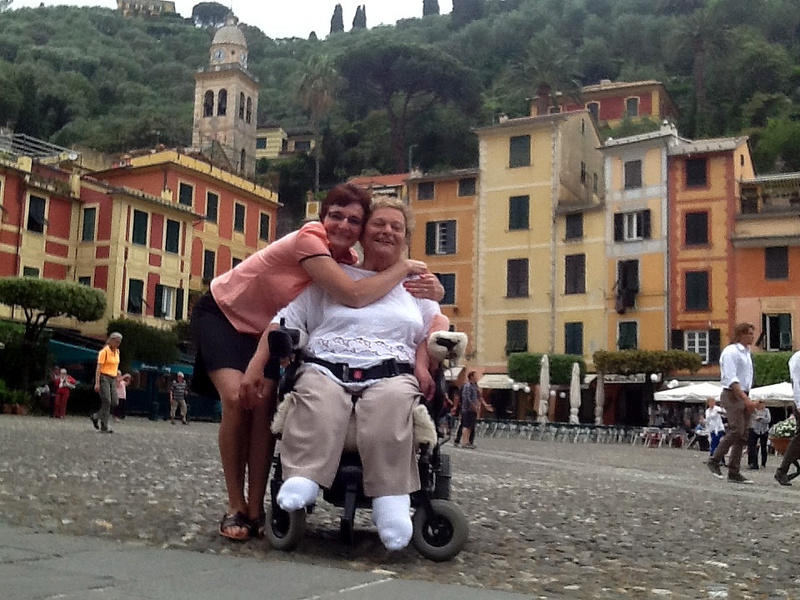 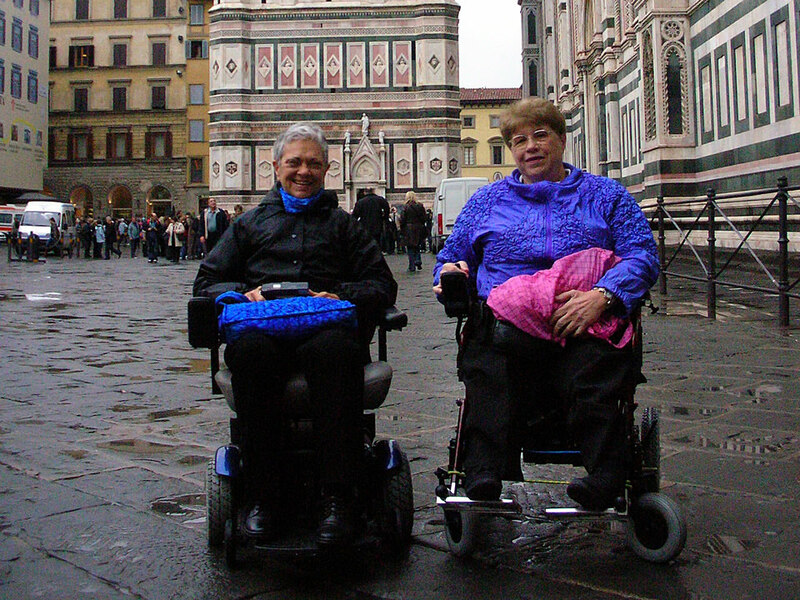 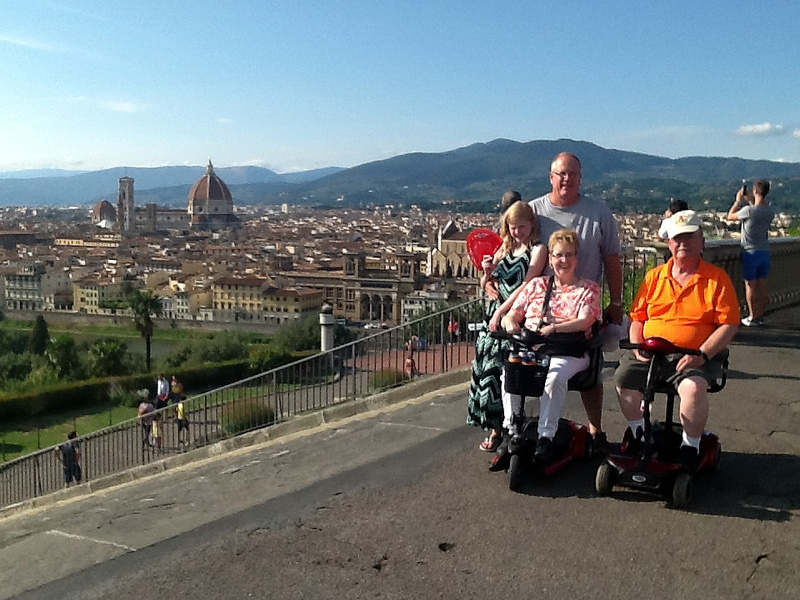 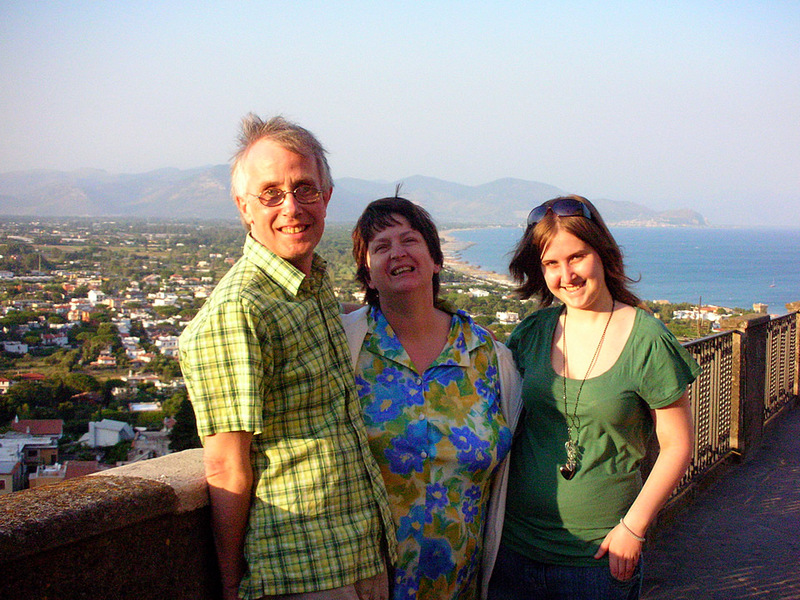 Wheelchair users accessible Appian Way tours in Rome is one of the most famous ancient roads. 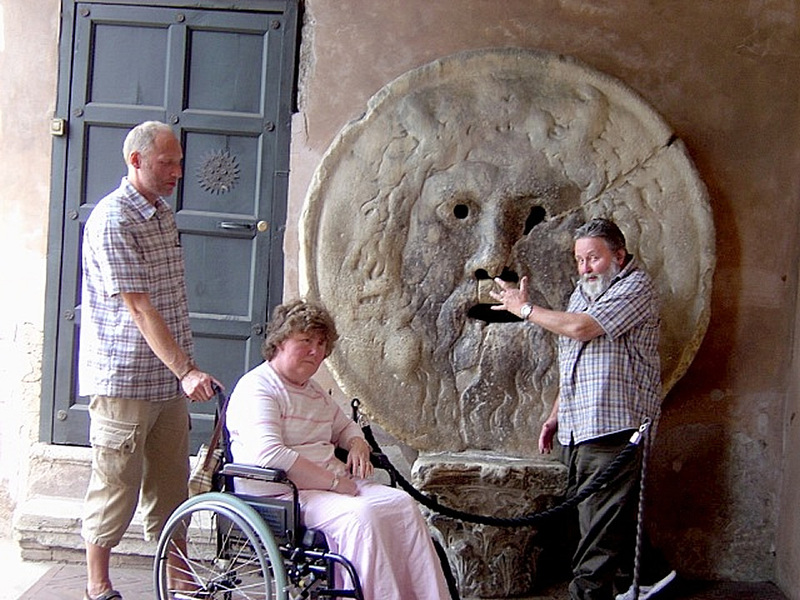 It was built in 312 B.C. 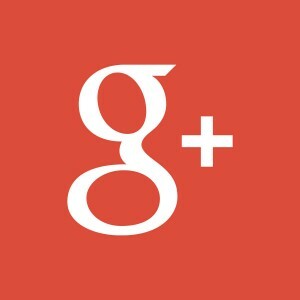 by Appius Claudius Caecus. 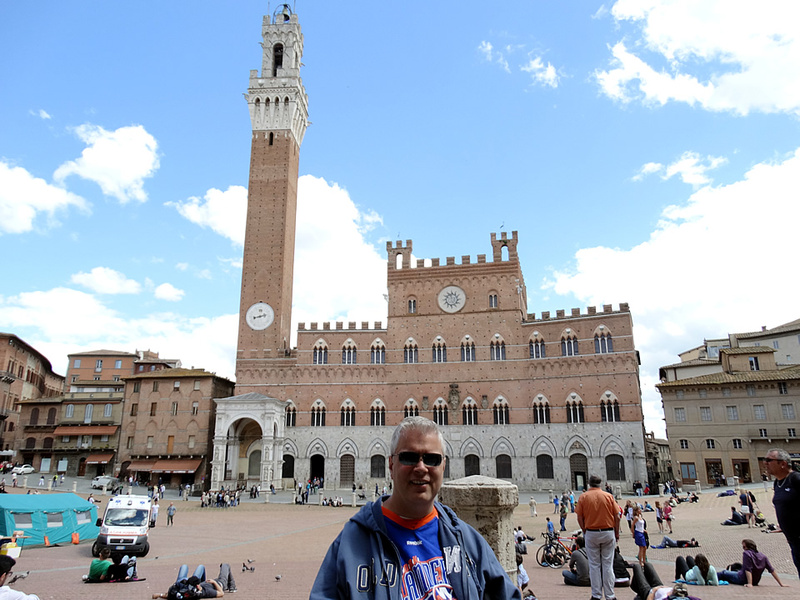 In it’s entirety it spanned 563 kms. 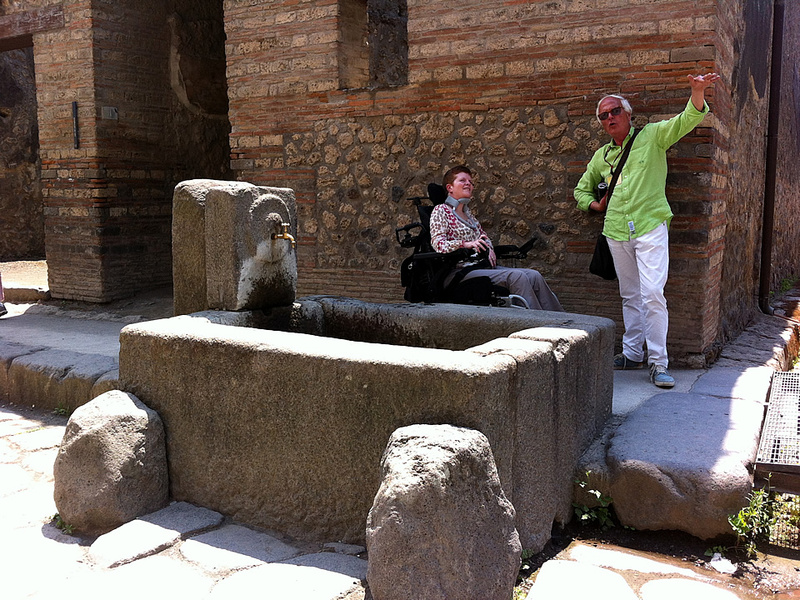 The Appian Way stretched from the Roman Forum to modern day Brindisi. 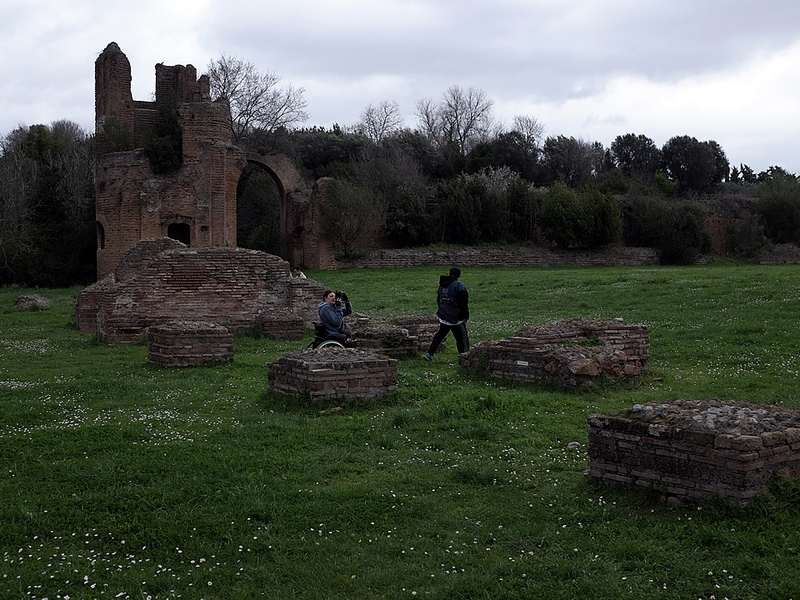 The Appian Way started at the Porta Canapena, near the rounded end of the Circus Maximus. 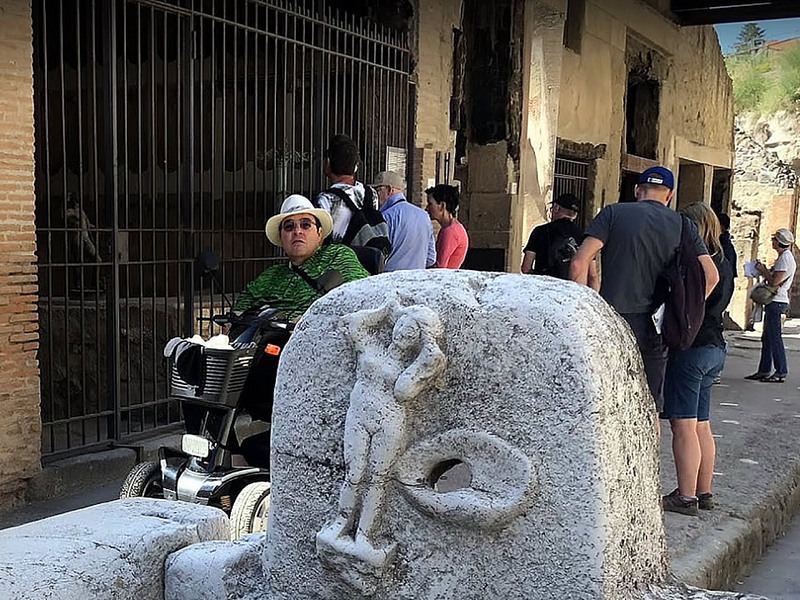 Today the best preserved section is immediately outside the wall: this is also the only tract that gives some idea of the villages, tombs, aqueducts and in Imperial times, the mansions of the rich. 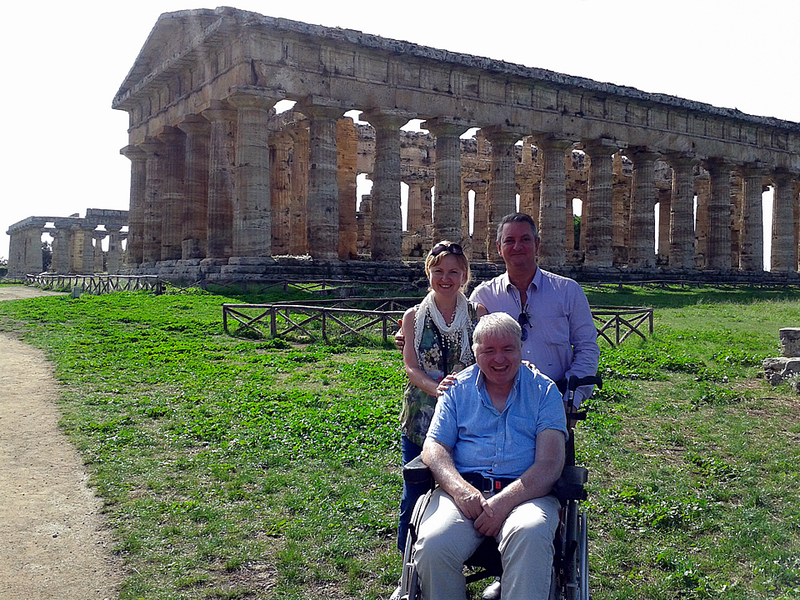 The road today is remarkably well preserved, flanked on both sides by fields punctuated with ruins and other vestiges of Roman history, its large flat paving stones polished by millennia of use and weathering. 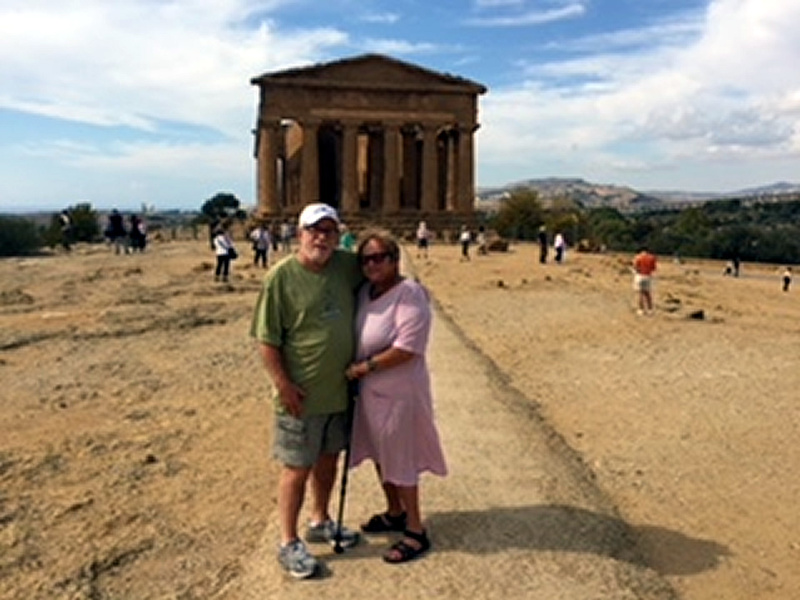 From Rome southward the Appian Way’s course was almost straight until it reached Tarracina ( Terracina ) on the Tyrrhenian Sea. 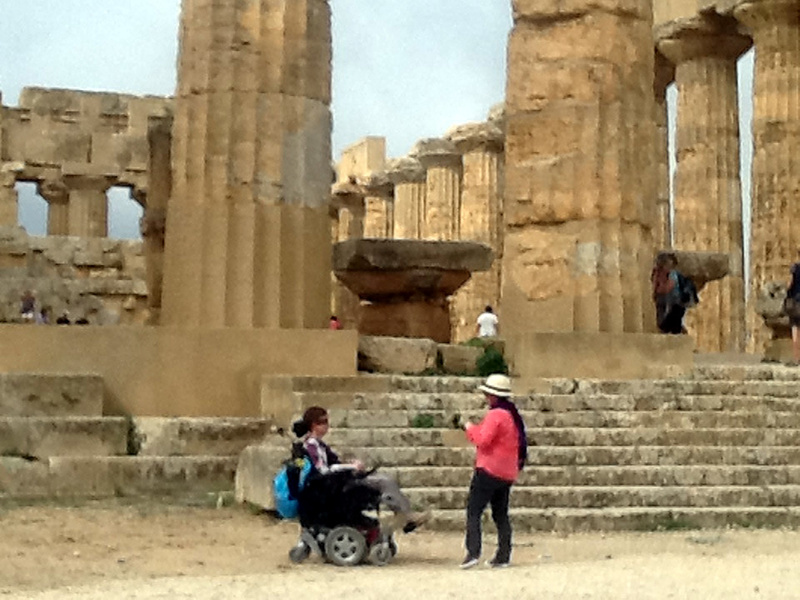 The road then turned inland to the southeast to reach Capua. 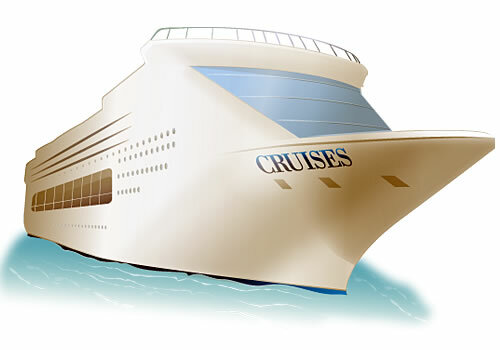 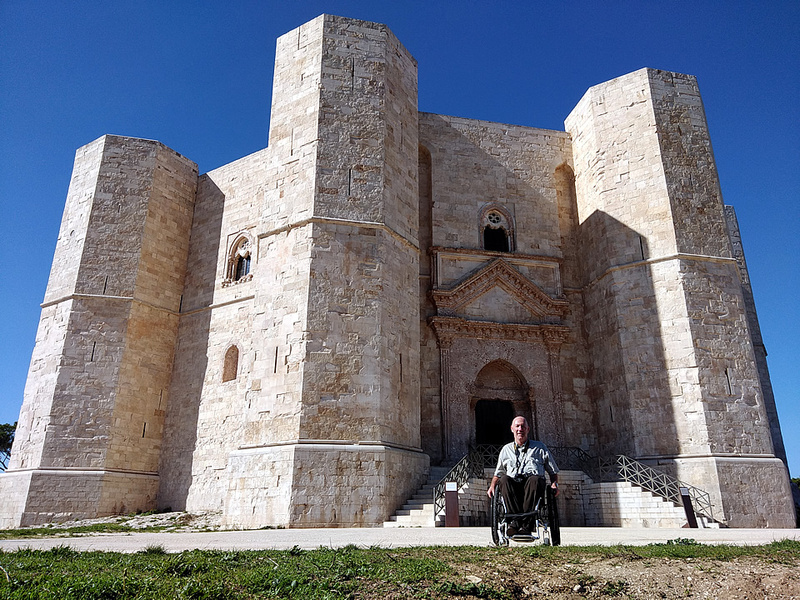 From Capua it ran east to Beneventium ( Benevento ) and then southeastward again to reach the port of Tarentum ( Taranto ). 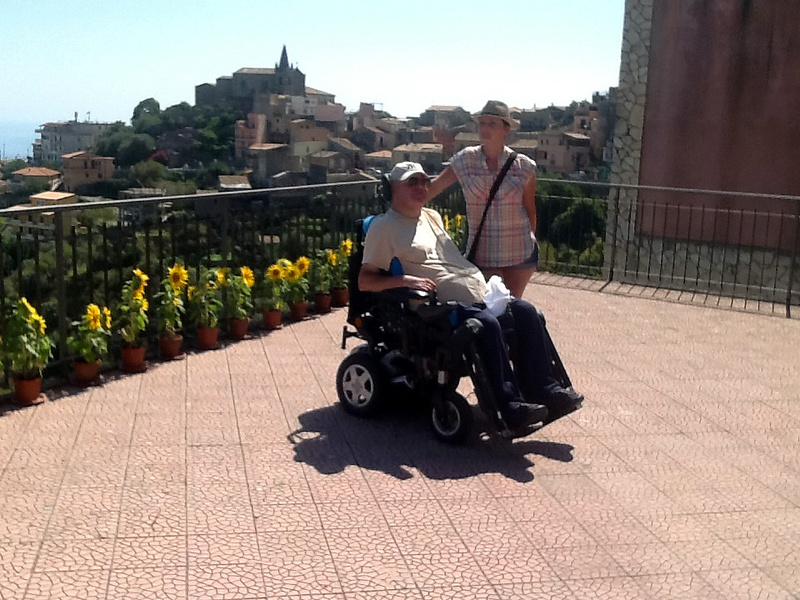 It then ran east for a short distance to terminate at Brindisi. 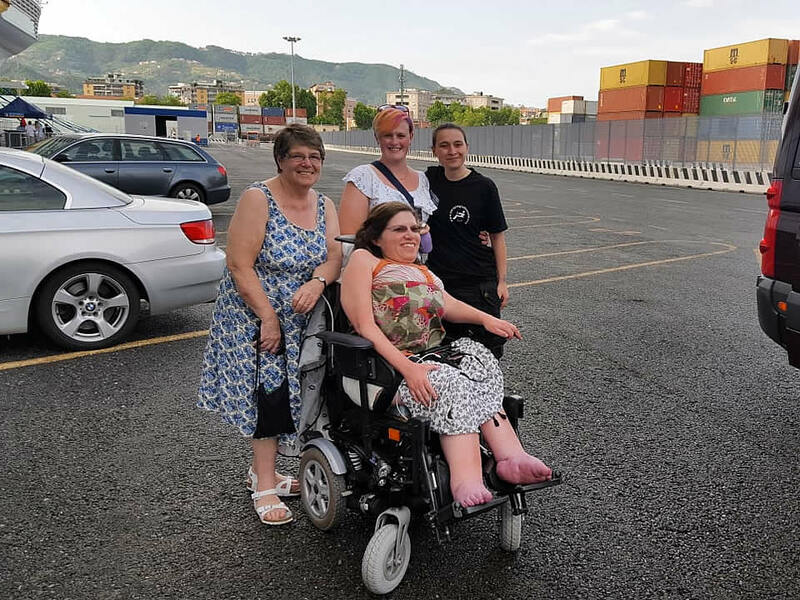 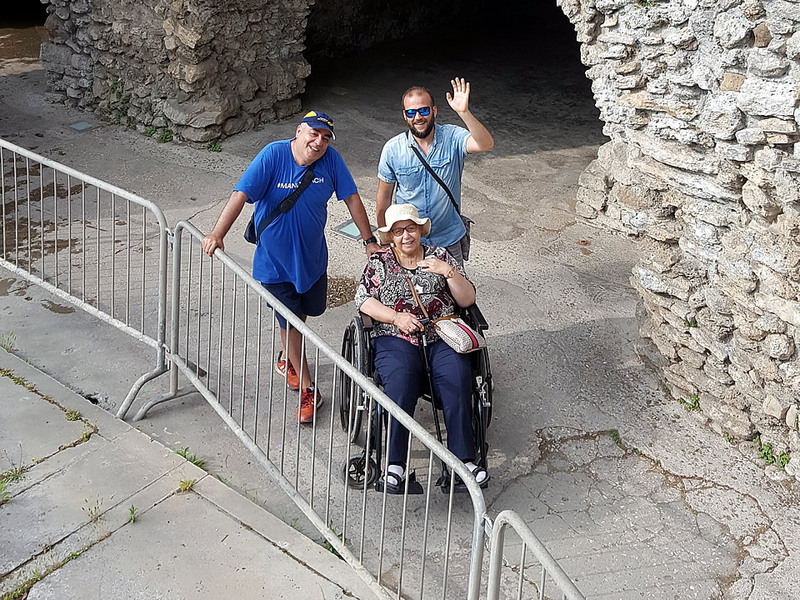 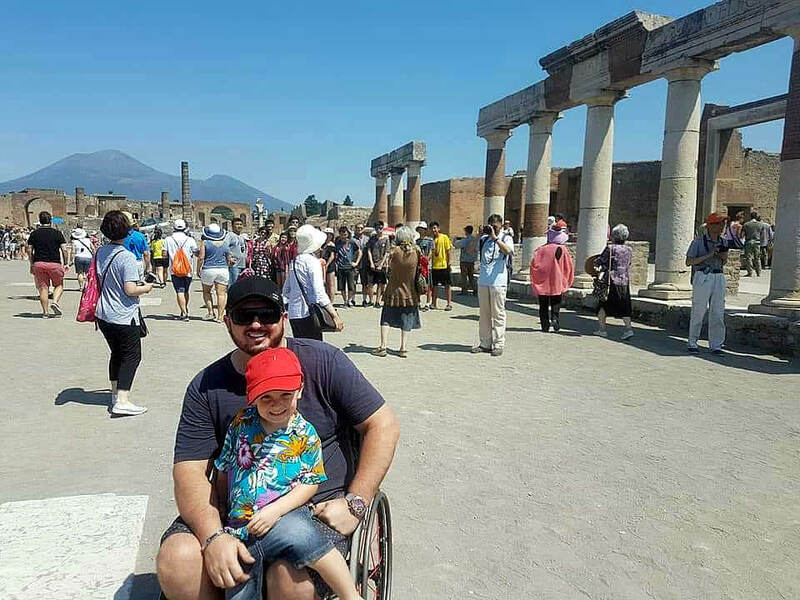 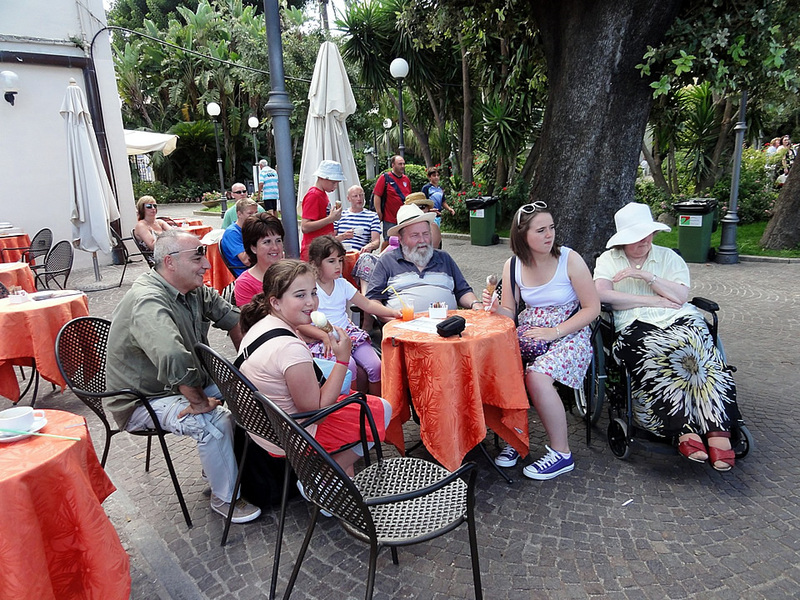 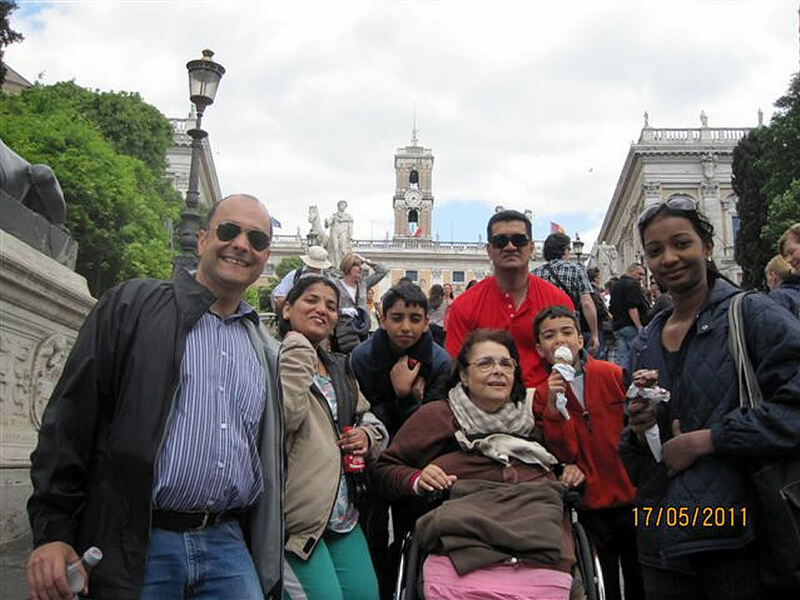 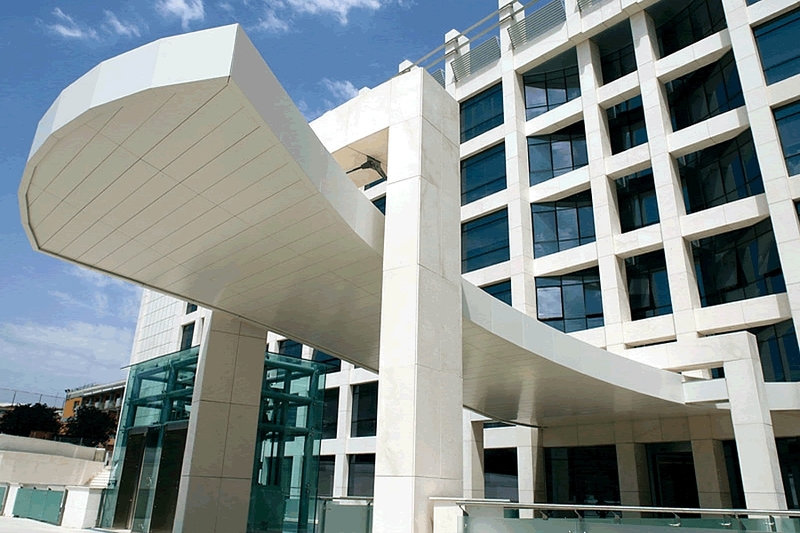 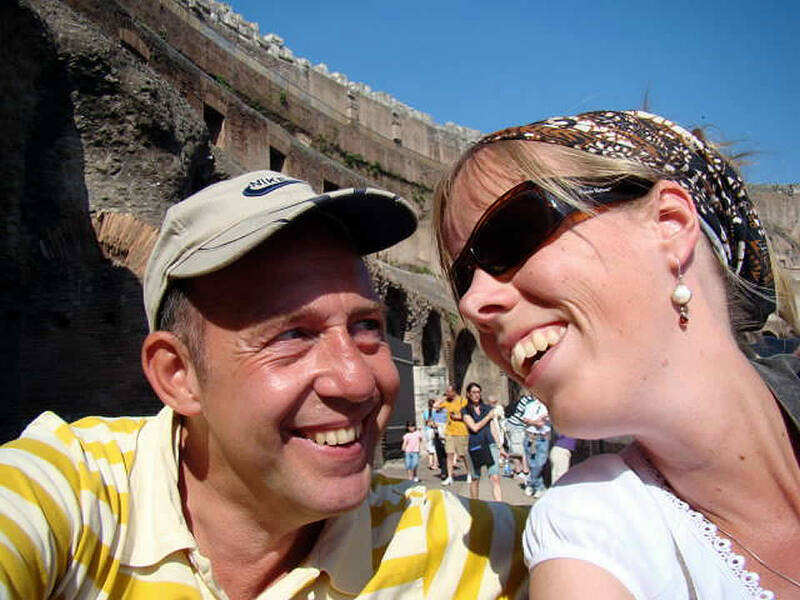 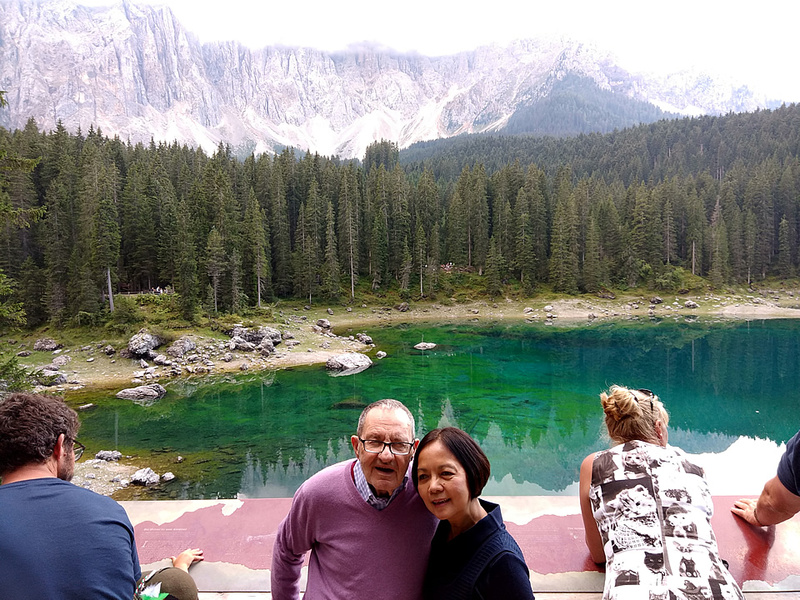 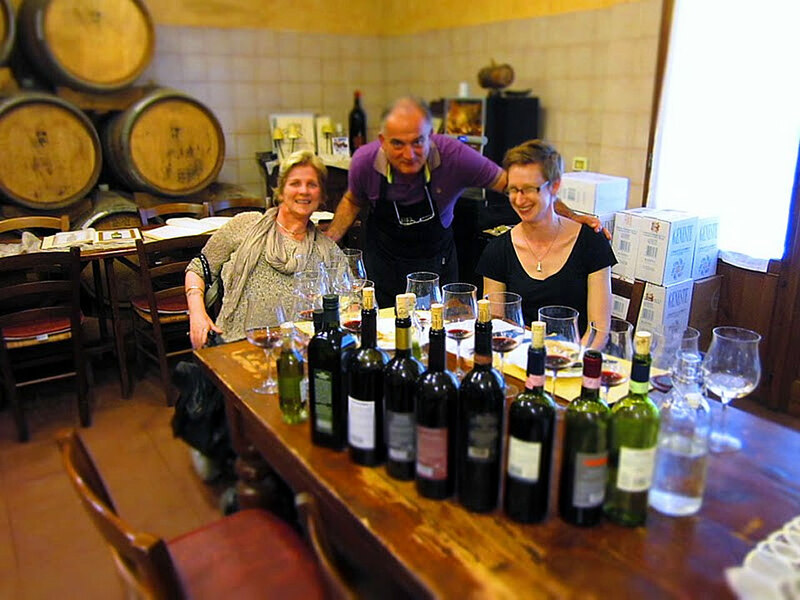 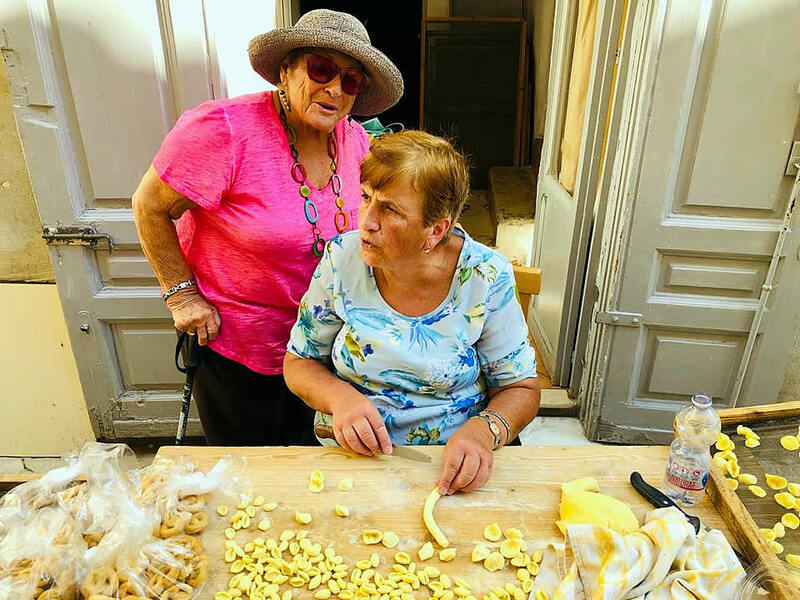 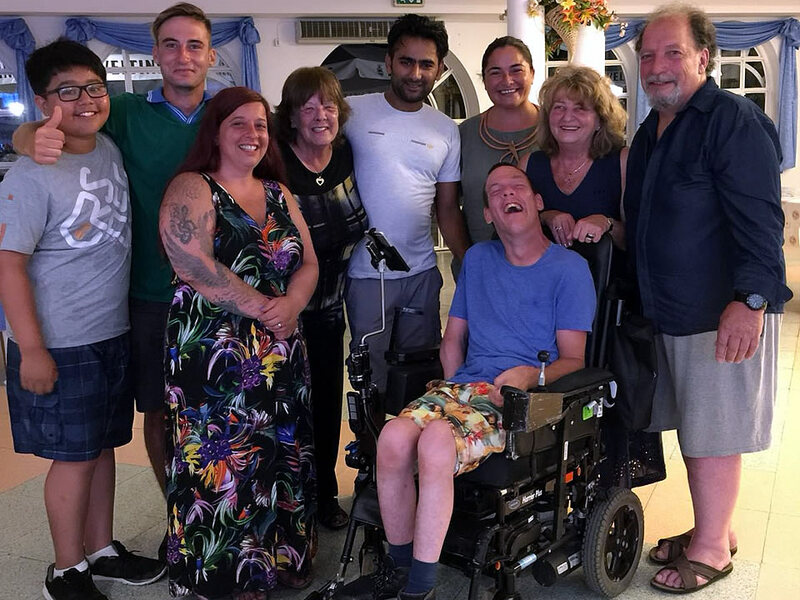 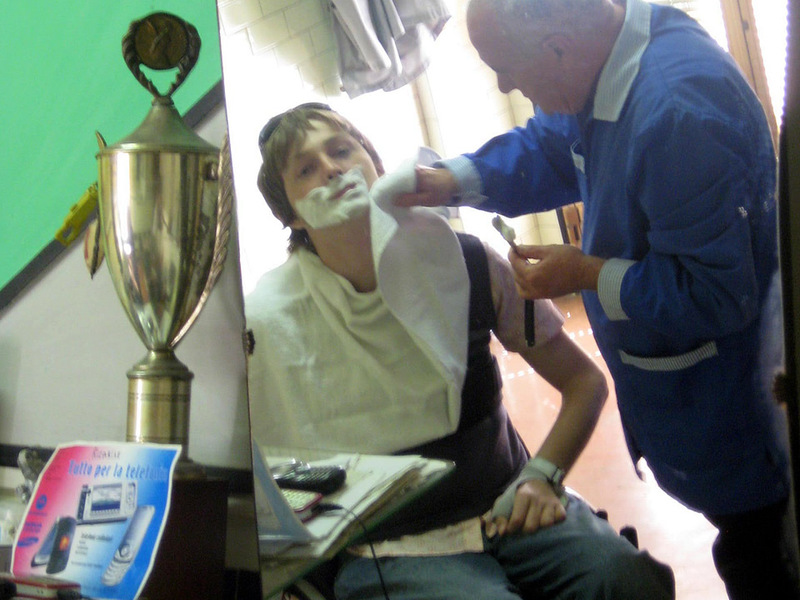 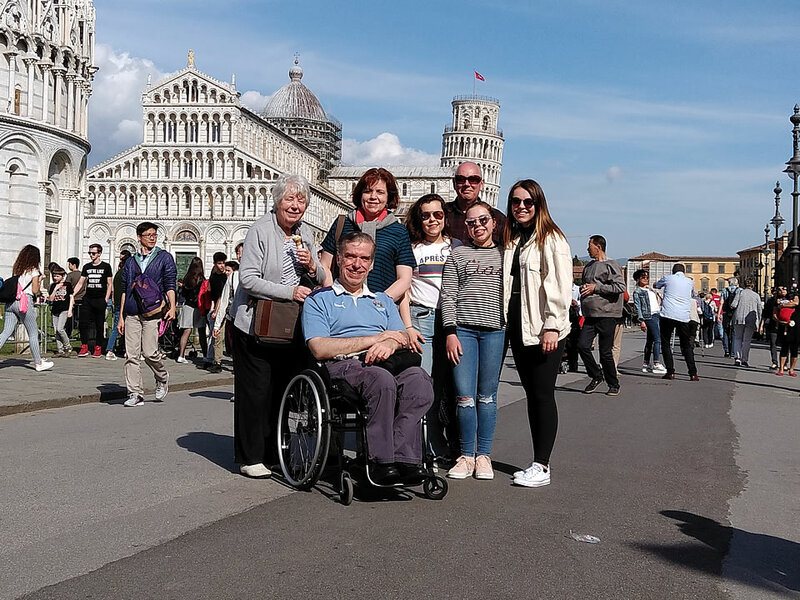 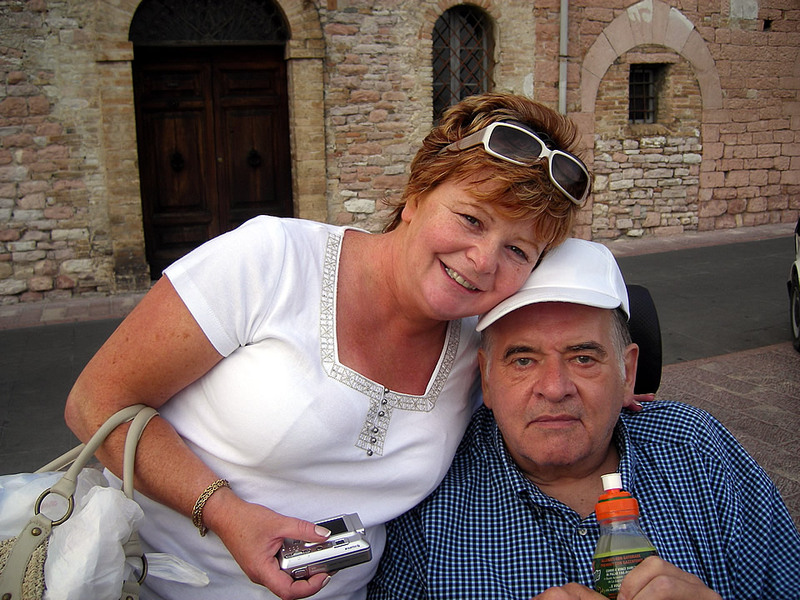 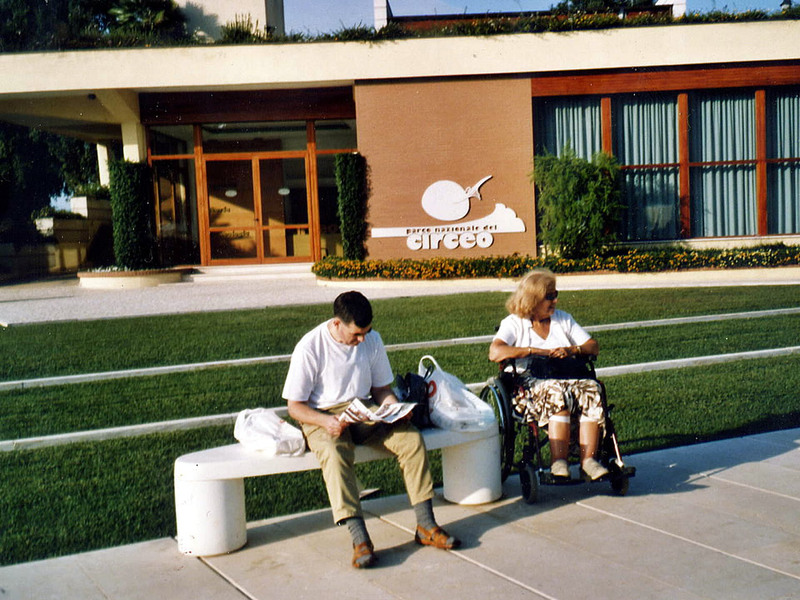 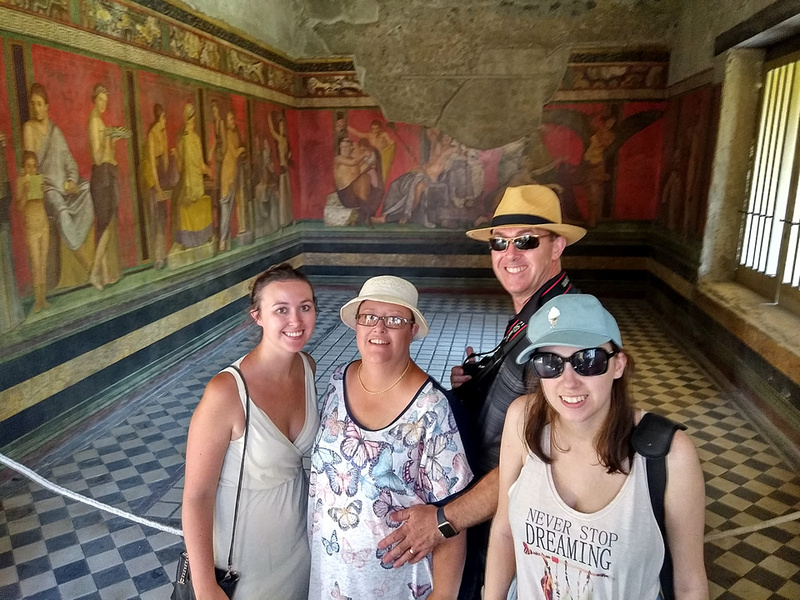 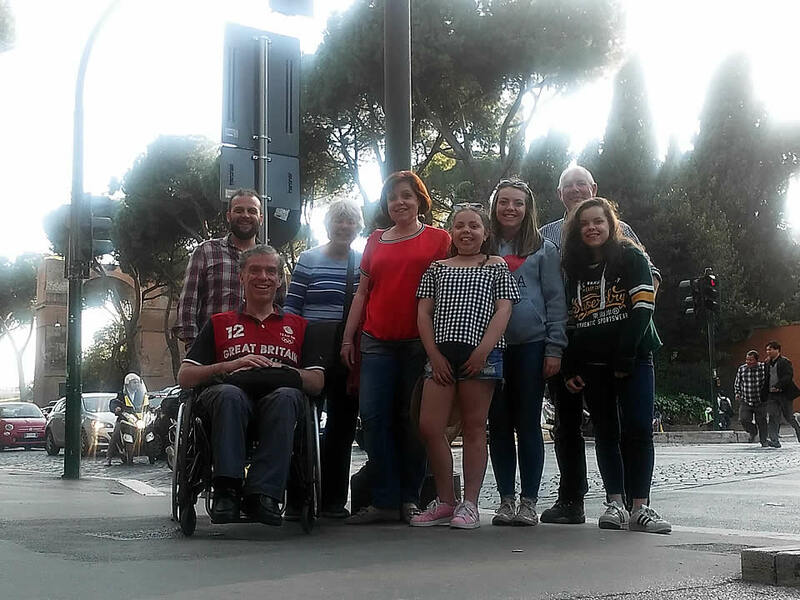 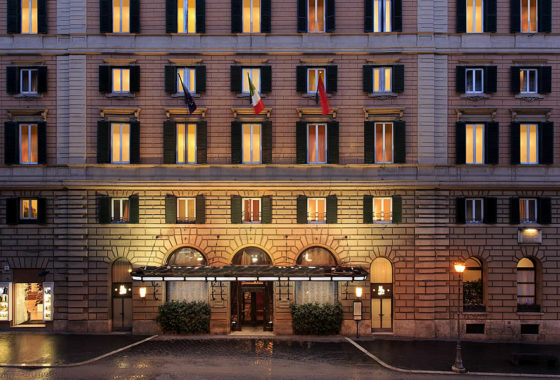 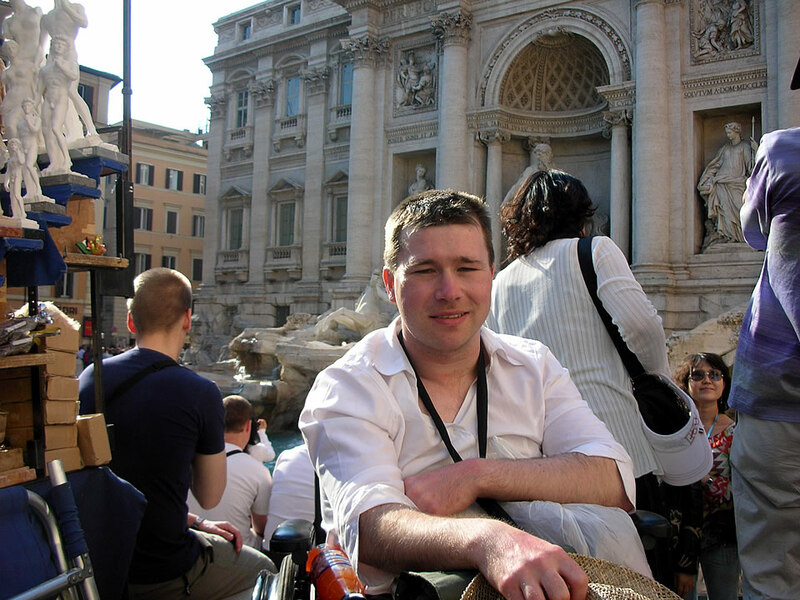 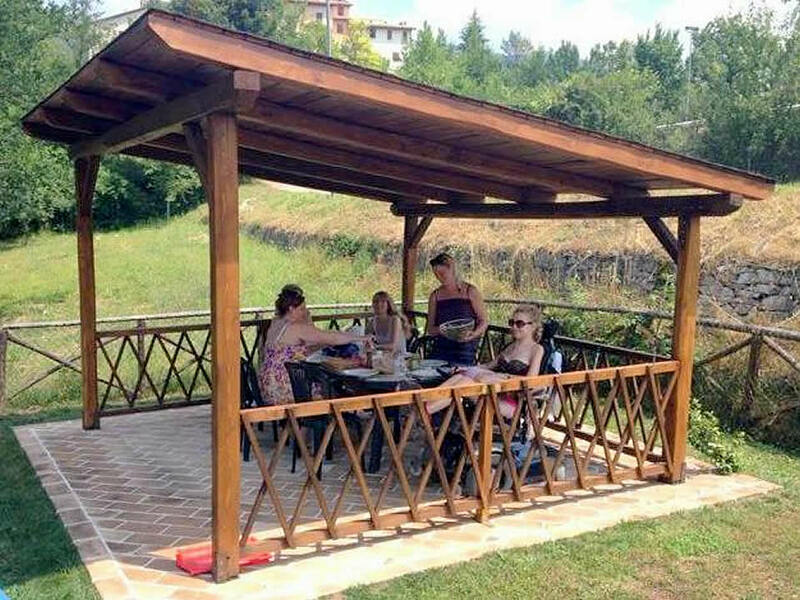 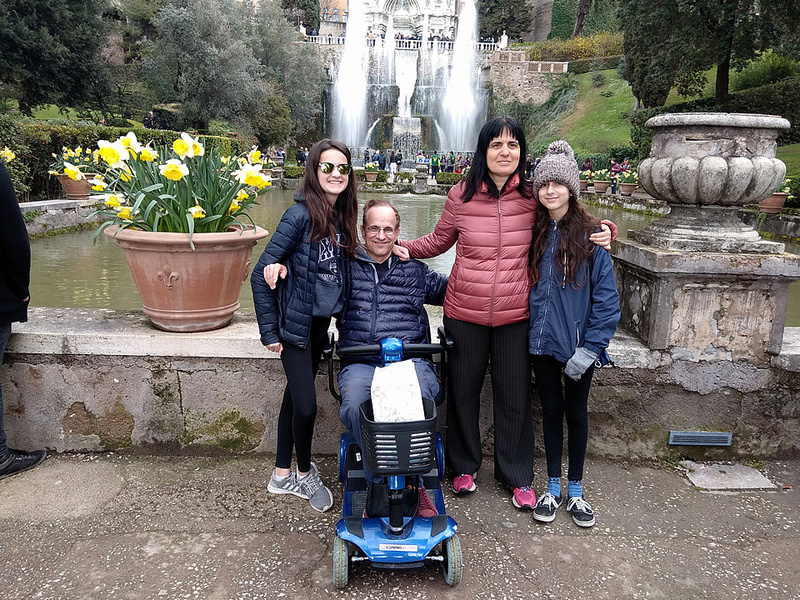 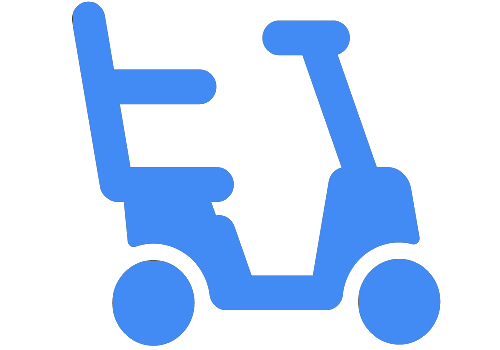 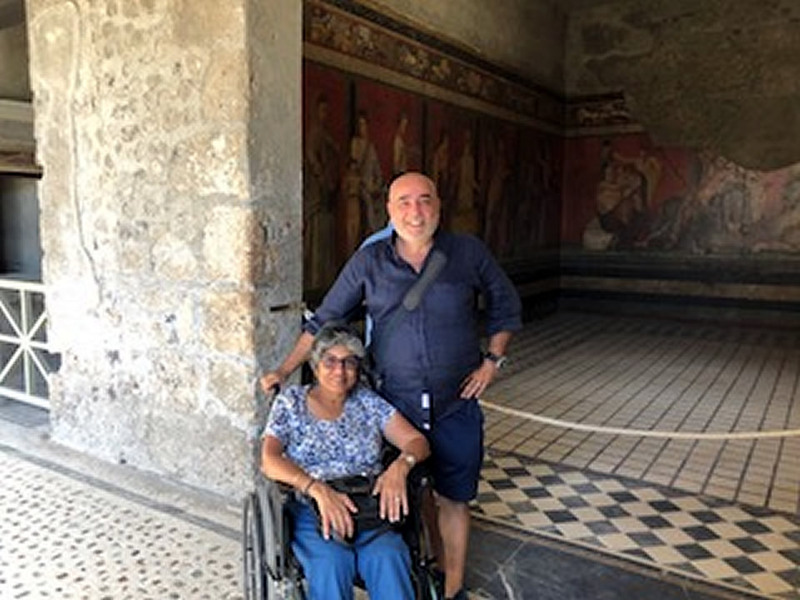 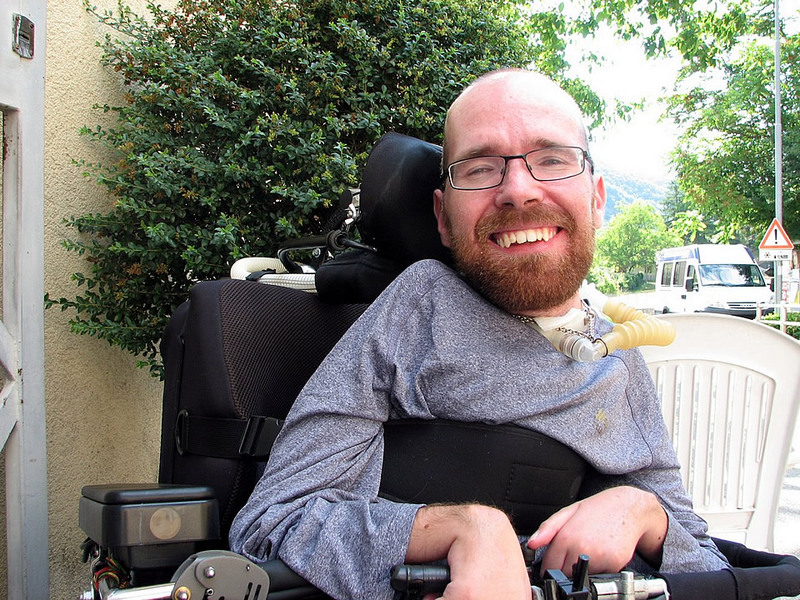 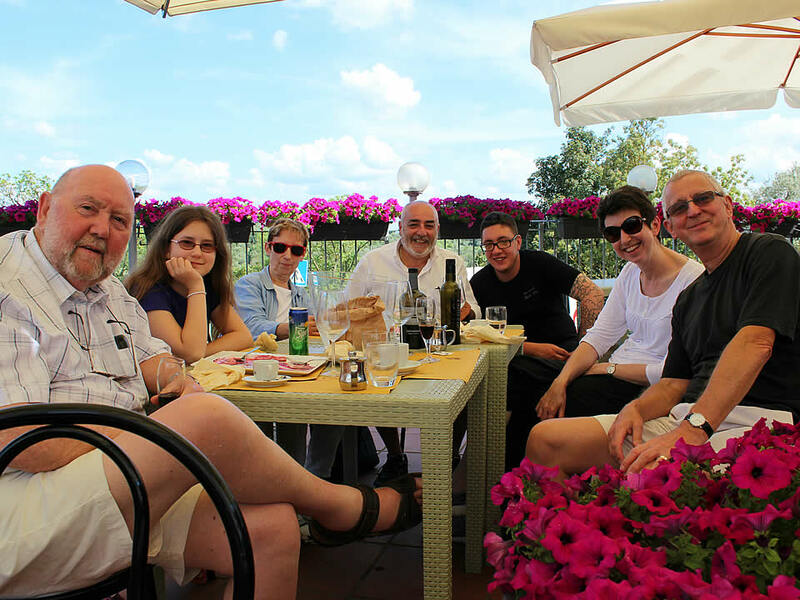 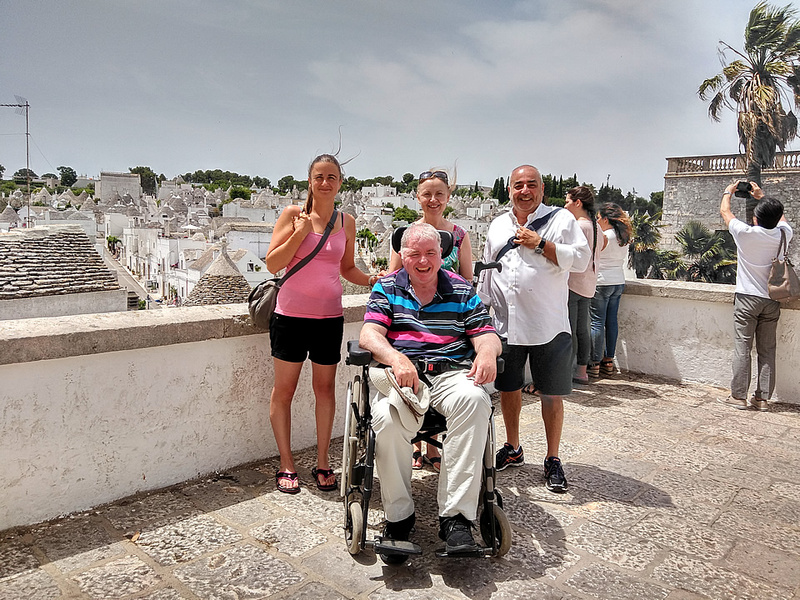 Wheelchair users accessible Appian Way tours unmissable visit at it with our Rome Accessible Tours specifically tailored to wheelchair users, reduced mobility persons and disabled with an adapted transport.